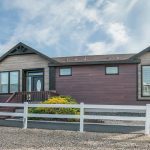 Manufactured Homes | Considering a new prefab home? Here's why you need an AFR Manufactured Housing Specialist. Home » Considering a new prefab home? Here’s why you need an AFR Manufactured Housing Specialist. AFR Wholesale is a national residential mortgage lender, who is expanding the manufactured housing industry’s presence by training and educating local and national mortgage brokers to understand the ins and outs of factory-built housing. At AFR, we are big believers in manufactured housing. Simply put, we believe prefab is the future of housing for many reasons. One of the most compelling is it provides a smart solution to the lack of housing inventory in many parts of the country, especially in the starter home range. The good news is that manufactured housing is a growing part of the real estate landscape, with 22 million Americans living in manufactured homes, which represents nearly 10% of all new single-family home starts. The team at AFR has extensive experience with manufactured housing loans, and we continue to improve our workflow to make the mortgage process simpler, easier, and more streamlined for borrowers, brokers, and builders alike. We understand that manufactured housing needs a variety of financing options to effectively expand the factory-built market share; among offering both conventional and unique manufactured housing lending programs, we also offer specialized training that is available to mortgage brokers. 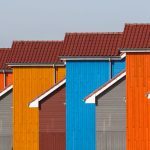 Although buying a manufactured home is not significantly different than buying any other home, there are some nuances. This means that in order for the mortgage process to move smoothly, the broker needs to be trained by an expert. As a result of these nuances, it is absolutely necessary that any borrower looking for a manufactured home loan works with a mortgage professional who specializes in manufactured housing. ManufacturedHomes.com offers a convenient search tool on the manufactured home lenders page that you can use to find brokers in your area who have been certified by AFR as Manufactured Housing Specialists. Keep an eye out for the Manufactured Home Specialist Badge to find lenders that AFR considers experts on manufactured home loans! To help you learn more about the wide range of specialized loan that AFR offers for the manufactured housing market, we’re going to be releasing a series of articles over the coming weeks, written by AFR President, Laura Brandao. A skilled mortgage industry executive with more than two decades of experience, Laura launched the wholesale division of American Financial Resources, Inc. in 2007, and now proudly serves the company as its president. She is the driving force that has catapulted AFR Wholesale to the top of Manufactured Housing, One-Time Close, and Renovation lending in the U.S.
Laura was named one of Mortgage Banking’s Most Powerful Women in 2018. She has also been honored as a HousingWire 2018 Women of Influence, one of 2017 Mortgage Professional America’s Hot 100 Mortgage Professionals and has been listed among the Elite Women of Mortgage several times in recent years. Stay posted for more from Laura!